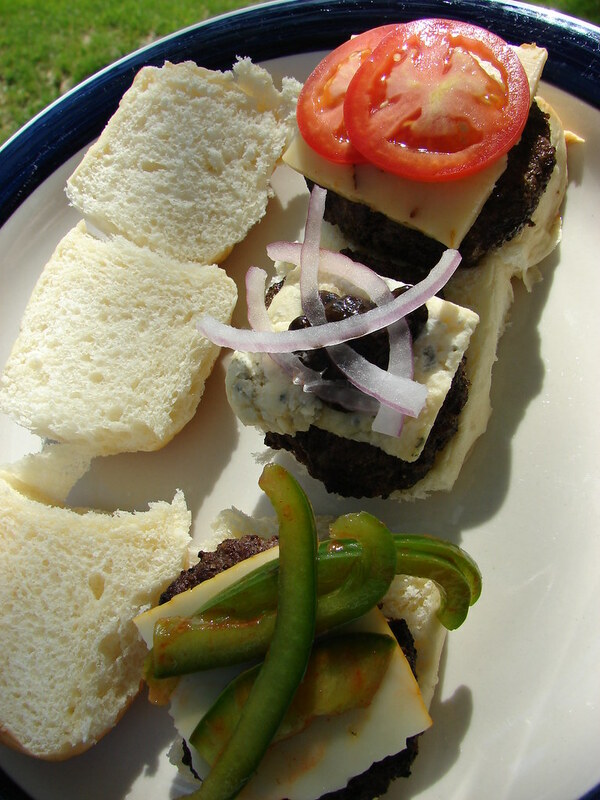 Teeny burgers, which made an appearance on Iron Stef here, have become a regular dinner option at the Iron Stef homestead. They are easy and casual and fun. Also? Since you can eat more than one, you can play with toppings way more than you would with a big 'ol regular burger. 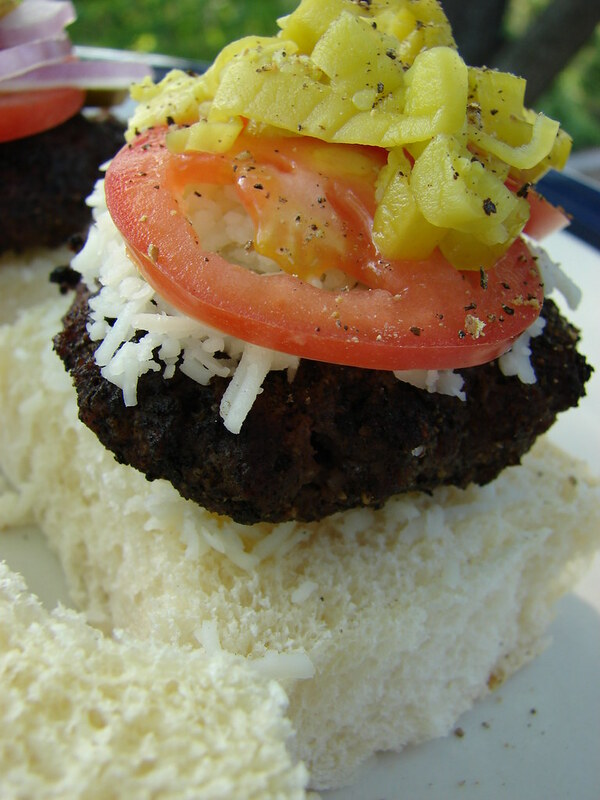 With teeny burgers, the possibilites are endless! Last night I played a little game of "what's in the fridge?" In the above photo I have 3 topping combos, from bottom to top: Muenster cheese and thinly-sliced green bell pepper soaked in hot sauce; stilton cheese with thai black pepper sauce and red onions; habenero cheese and tomatoes. I had high hopes for this stilton one, but all the falvors were to strong, and when combined they took on, strangely, the taste of anchovies. I love anchovies, but...this just didn't work. 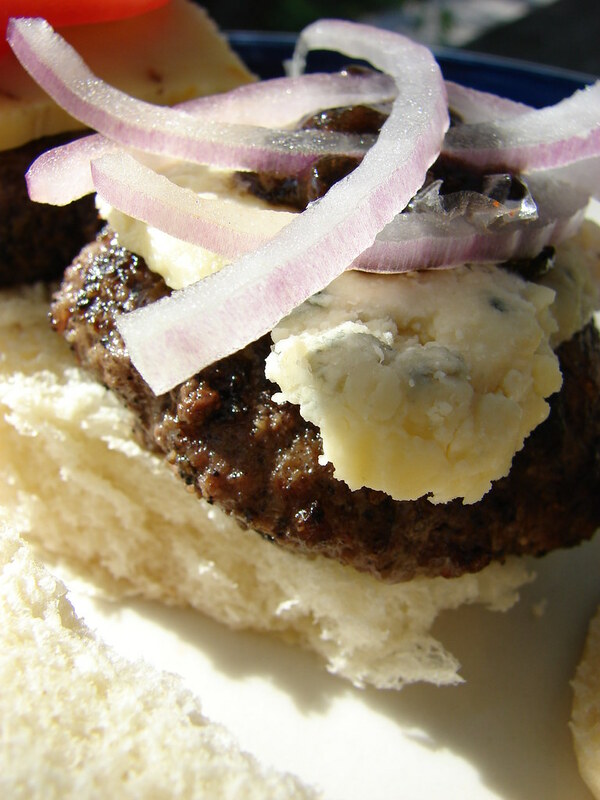 Usually I love burgers with blue cheese...maybe the stilton was just too pungent. Oh well, all my other combos were yummy. 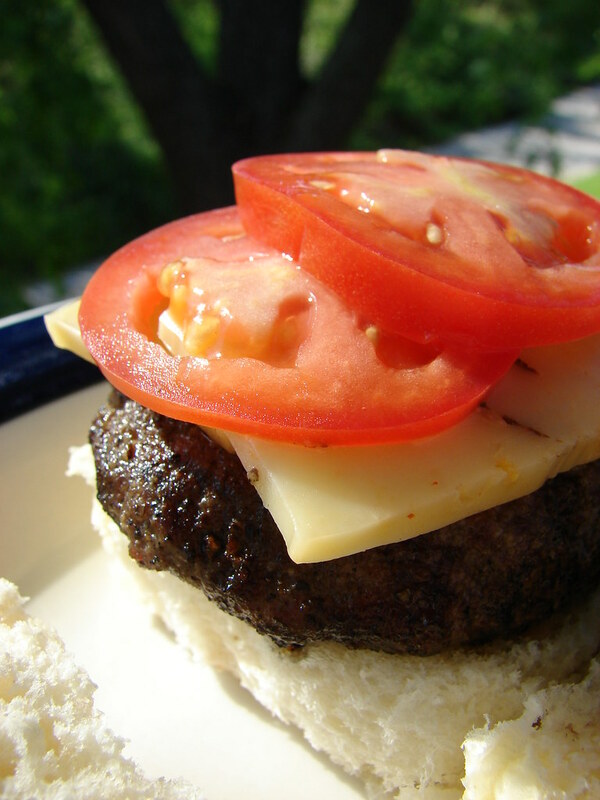 What do you like most on your burgers? oh the places you'll go...with posts about burgers. my standby for years was pepperjack, bacon (of course), lettuce, onion (raw red preferrably), and mustard. that combo goes for turkey burgers too. i have recently discovered that mayonnaise is not, in fact, icky; and that 'maters are, in fact, delicious as part of the burger experience. i am also a fan of the stuffed burger with some cheese like substance and some bacon-like substance (by which i mean bacon). and really, go to salt in Bal'mer and get a kobe beef slider with foie gras. cheese, red onions, mayo and ketchup. Mmmm. the other fave is swiss cheese, sauteed mushrooms and caramelized onions. yummies. Very creative! You're inspiring me to branch out from my usual veg burger toppings, which are onions, crunchy lettuce, mustard, dill pickle slices, sometimes BBQ sauce. From the Archives: Iron Stef does Mexican!